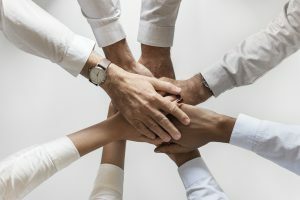 How Do You Make Your Employees Feel More Connected To Your Business? Hiring employees can often be something of a poisoned chalice. In theory, they should help your company thrive and reach heights you previously didn’t think were imaginable. In reality, you could end up with a group of people who almost get settled into their job and stop giving their all for the company. This results in slower progress than anticipated, and it can feel like you’re wasting money on wages for people who really aren’t that passionate about their job. Employees start connecting to a business when they realize it’s there to help them. If you can do things for your staff that makes their lives better, then they’ll instantly start seeing their jobs in a different light. You can do this in the form of employee benefits; give them free healthcare, additional holiday leave, or anything else that improves their life away from work. Now, they’ll be more engaged with the business as they realize how lucky they are to be in a job that rewards their personal life as well as their professional life. The way you communicate with employees – and how they interact with one another – plays a significant role in how they identify with the business. 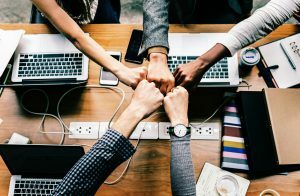 Often, your internal communication tools have broken down, which means everyone kind of feels separate from one another, and there’s no real group mentality there. Instead, work on improving the communication within your business, so everyone is continuously talking to one another and sharing ideas. You set up group chats, so people feel like they’re actually part of a team, and everyone is kept in the loop. This makes employees feel more important – like they’re part of the business. As such, they become more connected. It’s easy to keep your employees connected when they’re initially hired. Everyone goes through a period where they really enjoy working for a company and love their job. Over time, this connection weakens, and they start feeling more detached from work. The secret to keeping them engaged and connected is by rewarding them all the time. Give them rewards for their hard work in the form of bonuses or promotions. When people know things are waiting for them, it encourages them to perform better and really give their all at work. When employees become disconnected, it’s a real issue as this means their attention goes elsewhere. Not only will they become less productive, but they may also start thinking about changing jobs and moving elsewhere. To run a successful business, you need productive employees and a low turnover rate. So, focus on making your employees feel more connected to your business, and you’ll soon see the results you desire. ← Could A Pop-Up Shop Be The Business Practice You Need?